Launched by YB Dr. Ong Kian Ming, Deputy Minister of MITI together with Dato’ Mohd Razali Hussain, Puan Sharimaton Mat Salleh Deputy CEO of Matrade and Datuk Lim Kok Boon President of MPMA. The National Policy on Industry 4.0 (Industry4WRD) is a proactive measure undertaken by the Ministry of International Trade and Industry (MITI) to transform the Malaysian manufacturing industry and its related services to be smarter, more systematic and resilient. 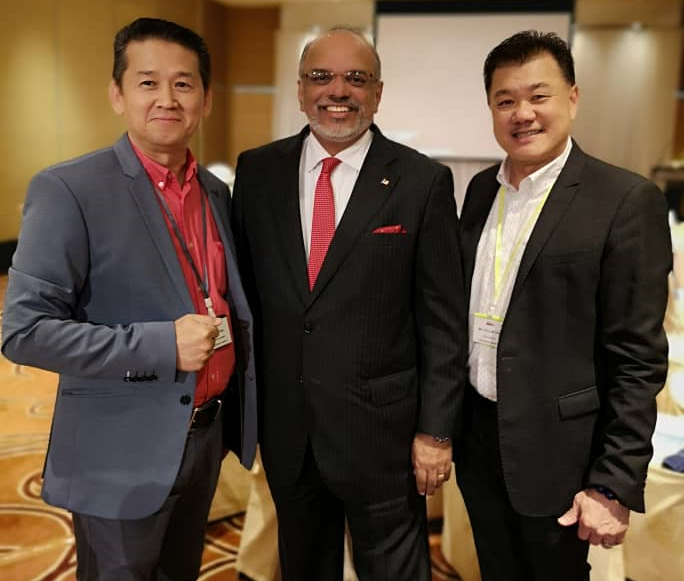 Mr. Callum with Dato’ Jojie Samuel, Malaysia’s Ambassador to Thailand and Mr. Martin Ang, Vice President of MCMTC – International Trade, on the opening of the MCMTC Business Mixer Luncheon – Northern Region of Thailand 27 November 2018. There is no way to know what is exactly the right thing to do. “Situations and circumstances can change. Whatever decision we make at the very moment may be right, but the goal is to keep moving as situation changes,” Callum adds. So that’s why at LH Plus, doing the right thing is not just about making the right decision for the business to prosper with long-term customer relationships, but also a way to manage risk and crisis in our day-to-day operations.